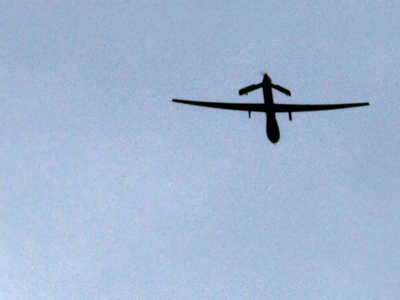 The ban comes in the wake of a deadly foreign airstrike called by Afghan forces on Wednesday which killed 10 civilians, including five children and four women, in the country’s eastern Kunar province. "I will issue a decree tomorrow that no Afghan security forces in any circumstances can ask for the foreigners' planes for carrying out operations on our homes and villages," Karzai said during a speech at the Afghan National Military Academy in Kabul on Saturday. "Our forces ask for air support from foreigners and children get killed in an airstrike," he continued. 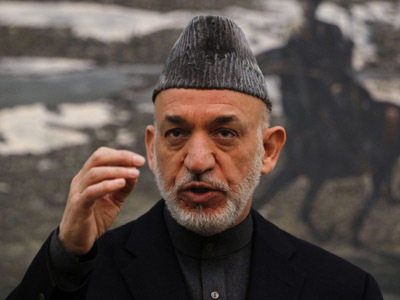 Karzai said he planned to issue the proposal outlining the ban on Sunday. If issued, the would represent the first time the country’s 350,000-strong security forces would not be able to rely on NATO airstrikes while carrying out military operations. Jamie Graybeal, a spokesman for the US-led coalition, declined to comment on the matter as alliance officials had not yet seen the new directive. 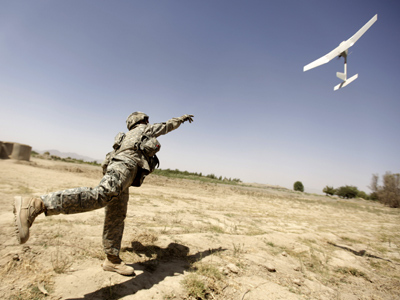 Civilian deaths resulting from foreign forces, particularly airstrikes, have been a particularly strong point of contention in the decade-plus war. While the US-led coalition has introduced measures to mitigate such causalities, the issue has deeply strained relations between Karzai and his international backers in the run-up to the 2014 International Security Assistance Force (ISAF) troop withdrawal. 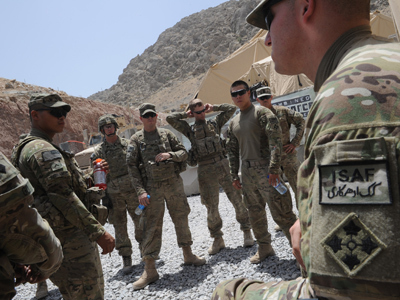 That, coupled with President Obama’s recent decision to remove 34,000 American troops in Afghanistan within a year’s time, has sparked fears Afghan forces will not be able to maintain security within the country as the coalition presence diminishes. Karzai gave no hint that the eventual ISAF troop withdrawal was a point of concern, saying "We are happy the foreign troops are withdrawing from Afghanistan." "I have been arguing with the foreign troops, don't bombard our houses, don't go to our villages, don't disrespect our people. And we hear our forces partnered with foreign forces are violating human rights," he continued. He further stressed that Afghan forces could defend their country without international support. "America is not the owner of this country, Pakistan is not the owner of this country, Germany is not the owner of this country, France is not the owner of this country…And fortunately, we will show to the world that we can protect our country, and we can defend our country." Critics argue Afghanistan would be depriving the country’s forces of the one critical component lacking in their arsenal – a viable air force. 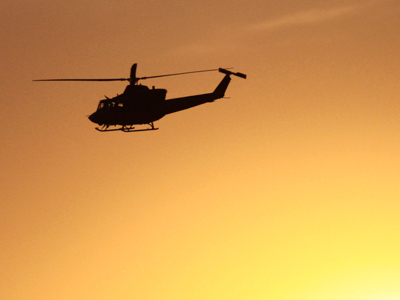 The Taliban’s knowledge of the region in tandem with the country’s often rough terrain makes ground operations difficult, highlighting the necessity of ample air power in military operations. 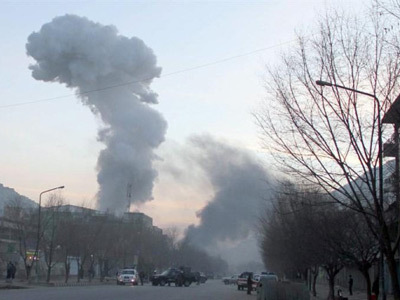 However, Wednesday’s deadly airstrike, which was reportedly requested by the Afghan spy agency – the National Directorate of Security (NDS) – served to reinforce claims leveled by Karzai that such killings show a lack of respect for his country’s sovereignty. Four Taliban fighters who had links to al-Qaeda were also killed in the attack, though Karzai said that did not justify the loss of so many innocent lives. The proposed ban follows a recent report from the UN Committee on the Rights of Children, which claimed hundreds of children had reportedly died "as a result of attacks and air strikes by the US military forces in Afghanistan." NATO forces branded the Committee’s conclusions "categorically unfounded" and "false," asserting that “Protecting Afghan people is a cornerstone of the ISAF mission." Although UN figures show the Taliban has been responsible for the bulk of civilian deaths, errant airstrikes have thwarted the alliances attempts to win “the hearts and minds" of Afghan civilians. 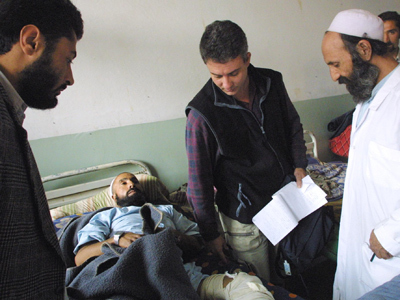 Last June, 18 civilians were killed when NATO targeted a village in Logar province during an anti-Taliban operation. One month prior, several members of an Afghan family were killed in an airstrike in Paktia province.